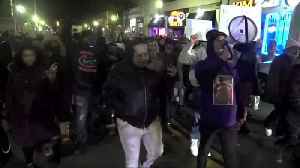 The arc of justice for Antwon Rose II has traveled along a familiar modern path: Police kill an unarmed black male, video emerges and protests erupt, along with calls for the conviction of officers..
Demonstrators gathered in Pittsburgh over the weekend to protest the verdict, after a jury found a white police officer not guilty in the fatal shooting of Antwon Rose, an unarmed black man. 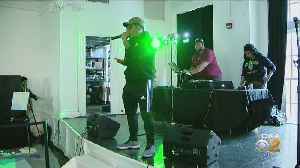 ▶ Videos for "Antwon Rose"
A group of legislative Democrats say shootings by police show a need to change Pennsylvania's rules for when officers can use deadly force and to reform oversight and training; KDKA's Rachele Mongiovi..
Pittsburgh’s hip-hop community took over the Ace Hotel in East Liberty Wednesday night to raise money for the family of Antwon Rose; KDKA's Rachele Mongiovi reports. 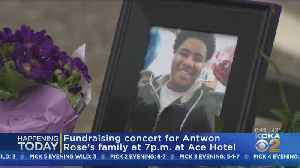 Antwon Rose will be remembered a a benefit concert in East Liberty. 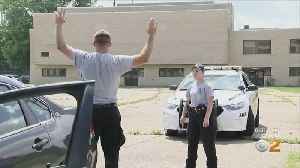 In response to the fatal shooting of Antwon Rose, there's been a push to fund something called de-escalation training for police officers; KDKA's Andy Sheehan reports. 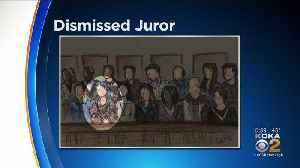 The juror who was dismissed during the Michael Rosfeld trial was allegedly antagonistic and disruptive toward other jurors; KDKA's Jon Delano reports. 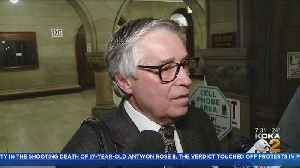 The juror who was dismissed during the Michael Rosfeld trial was allegedly antagonistic and disruptive toward other jurors. 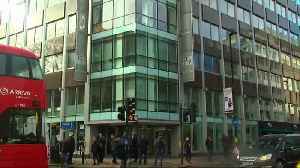 Pittsburgh Public School students are holding protests today following last week’s not guilty verdict in the trial of former East Pittsburgh police officer Michael Rosfeld; KDKA's Bob Allen reports. 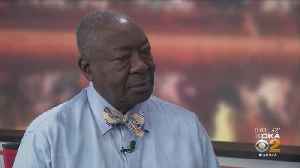 The foreman of a jury that acquitted a white Pennsylvania police officer of homicide says Michael Rosfeld didn't know the black teen he shot was unarmed; KDKA's Andy Sheehan reports. 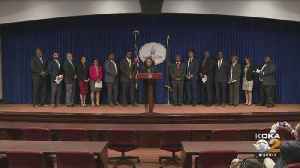 The acquittal of former East Pittsburgh Police Officer Michael Rosfeld in the shooting death of Antwon Rose has sparked calls for changes to Pennsylvania state laws; KDKA's Andy Sheehan reports. 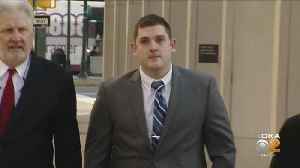 The criminal case in the death of Antwon Rose may be settled, but former East Pittsburgh Police Officer Michael Rosfeld still faces two civil lawsuits; KDKA's Rick Dayton reports. 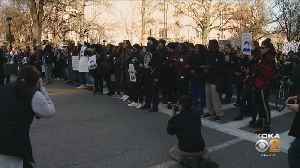 Students from Clairton walked out of class today for a protest over the not guilty verdict in the Antwon Rose trial. 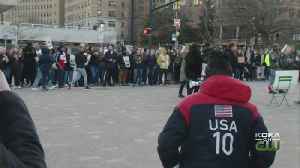 KDKA's Bob Allen reports from Downtown Pittsburgh where students are protesting in support of Antwon Rose after the not guilty verdict in the Michael Rosfeld trial. 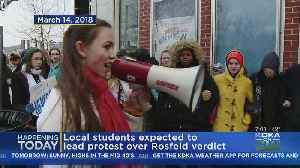 Pittsburgh Public School students are set to walk out of class today to protest the not guilty verdict in the Michael Rosfeld trial; KDKA's Amy Wadas reports. 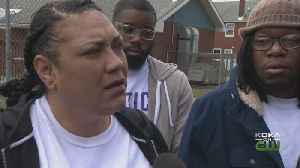 At a vigil in Rankin on Sunday, Antwon Rose's mother said "it's not over" for her after Michael Rosfeld was acquitted in the shooting death of her son; KDKA's Paul Martino reports. 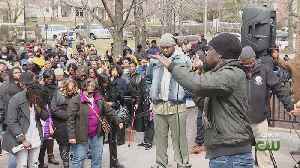 Several hundred people gathered at Freedom Corner in the Hill District on Sunday for a prayer vigil honoring Antwon Rose, and another prayer vigil was held at the Hill District's Warren United..
At a vigil in Rankin on Sunday, Antwon Rose's mother said "it's not over" for her after Michael Rosfeld was acquitted in the shooting death of her son. 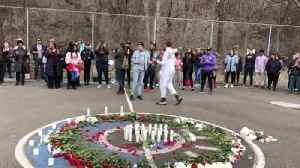 A vigil was held Sunday in memory of Antwon Rose after Michael Rosfeld was acquitted in Rose's shooting death. 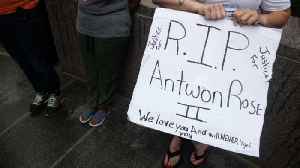 Peaceful but passionate was how the City of Pittsburgh described the demonstrations in Oakland on Saturday by those demanding justice for Antwon Rose; KDKA's Pam Surano reports. 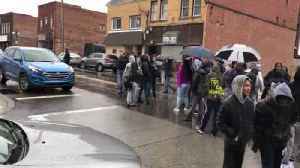 Less than 24 hours after a jury acquitted former East Pittsburgh Police Officer Michael Rosfeld in the shooting death of Antwon Rose, protesters began to gather at Freedom Corner in the Hill District;.. 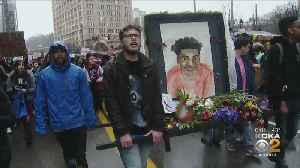 Protesters in Oakland were calling out District Attorney Stephen Zappala after Michael Rosfeld was acquitted in the shooting death of Antwon Rose; KDKA's Paul Martino reports. 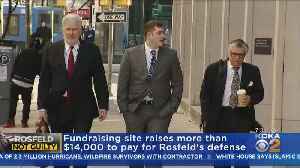 The Monroeville office for Patrick Thomassey, the lawyer for Michael Rosfeld, was shot up overnight after Rosfeld was found not guilty on Friday in the shooting death of Antwon Rose; KDKA's Meghan..
A not-guilty verdict at the trial of former East Pittsburgh Police Officer Michael Rosfeld on Friday night has Pittsburgh on edge Saturday. 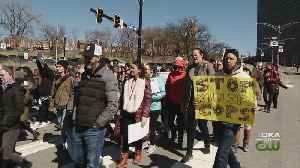 Many have been waiting to show their support for former East Pittsburgh Officer Michael Rosfeld since he was charged in the shooting death of Antwon Rose last summer. 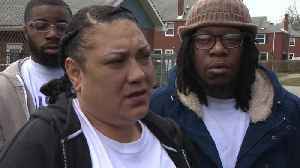 RANKIN, Pa. (AP) — The mother of a black teenager shot and killed by a white police officer outside Pittsburgh told supporters at a vigil that she was glad to see her son’s life celebrated at a..
Watch VideoThe Pittsburgh police officer charged in the fatal shooting of 17-year-old Antwon Rose II was found not guilty by a jury on Friday. 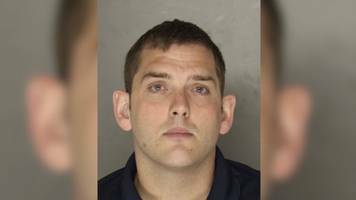 That's according to the spokesman for the Allegheny County..
Michael Rosfeld shot the unarmed 17-year-old Antwon Rose in the back as he tried to flee police. 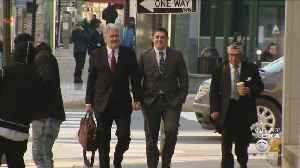 Jury clears officer Michael Rosfeld, charged with homicide for shooting teenager Antwon Rose II last year. PITTSBURGH (AP) — The family of an unarmed black teenager fatally shot by a white police officer is expressing anger and sadness over a jury’s decision to acquit, and Pittsburgh braced for protests..
A Pittsburgh jury on Friday unanimously found that a white police officer did not commit murder when he fatally shot black teenager Antwon Rose, an incident that sparked protests and fueled a debate..
A Pennsylvania prosecutor on Tuesday urged jurors in the racially-charged trial of a white police officer who shot and killed unarmed black teenager Antwon Rose in June 2018 to focus on what motivated..
Watch VideoTrial is set to begin Tuesday for Michael Rosfeld, a former East Pittsburgh police officer who's charged with fatally shooting an unarmed black teenager last year. 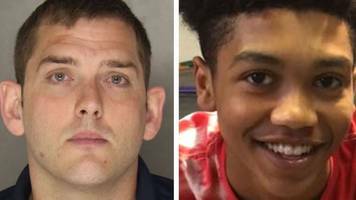 Antwon Rose Jr. was..
PITTSBURGH (AP) — A white Pennsylvania police officer who shot and killed an unarmed black teenager last year goes on trial starting Tuesday in a case that could put him behind bars for life. Lawyers.. 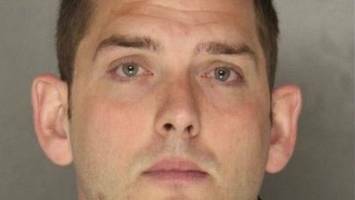 Jurors in the case of a white western Pennsylvania police officer accused of shooting to death a black teenager last summer will hear evidence about a drive-by shooting that happened about 15 minutes..
A white police officer accused of shooting to death an unarmed black 17-year-old in western Pennsylvania last summer arrived at a Harrisburg courtroom Tuesday as jury selection gets underway. 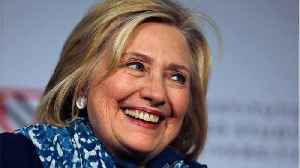 PITTSBURGH (AP) — A Pittsburgh grand jury has indicted a teenager allegedly involved in the drive-by shooting that preceded the fatal police shooting of an unarmed black teenager fleeing a traffic..
PITTSBURGH (AP) — The parents of an unarmed black teenager fatally shot while fleeing a traffic stop have filed a wrongful death lawsuit against the police officer charged in the shooting. 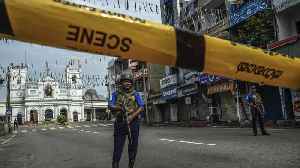 The..
PITTSBURGH (AP) — Community groups are celebrating what would have been the 18th birthday of an unarmed black teenager shot in the back by a white Pennsylvania police officer while fleeing a traffic.. 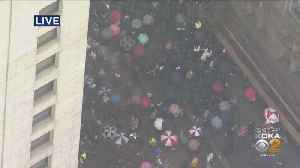 Protesters have filled the streets of western Pennsylvania the past two weeks, shutting down thoroughfares, halting rush hour traffic and marching to the front steps of the county courthouse, demanding..
PITTSBURGH (AP) — The day after Antwon Rose Jr. was shot through the cheek and elbow and in the back, killing the 17-year-old honors student, young black people swarmed the East Pittsburgh police..
A Pennsylvania mayor is under pressure to resign after she reportedly suggested police should blast people protesting the death of Antwon Rose — an unarmed black teenager fatally shot by an East..
Pittsburgh Police Officer Michael Rosfeld is facing a criminal homicide charge for the shooting death of 17-year-old Antwon Rose Jr. 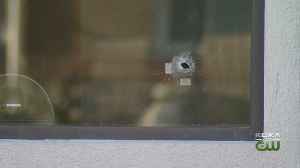 The teen was unarmed at the time. Nikki Battiste has the latest. An East Pittsburgh police officer has been charged with criminal homicide in the death of teenager Antwon Rose II, who was shot three times while running after a traffic stop.